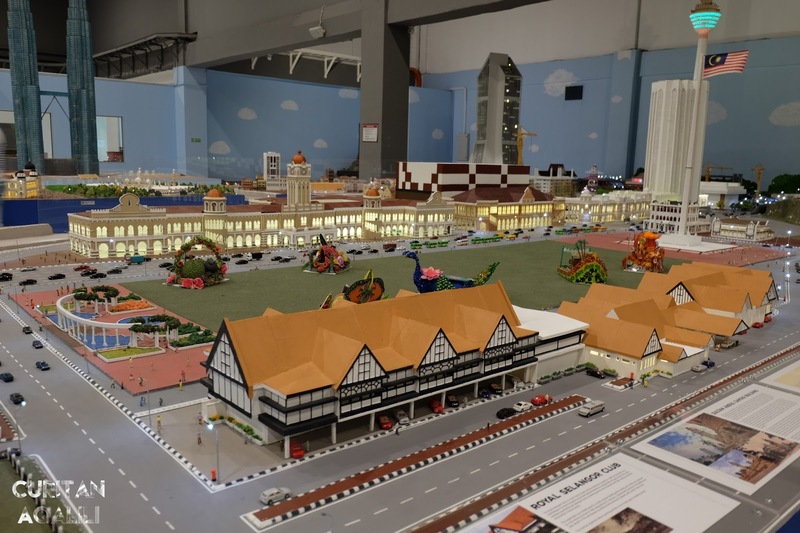 Get ready to be amazed by all the miniature and train exhibition in MinNature. Located just at Summit USJ, MinNature have so much to offered to visitors. Let's find out what it is! 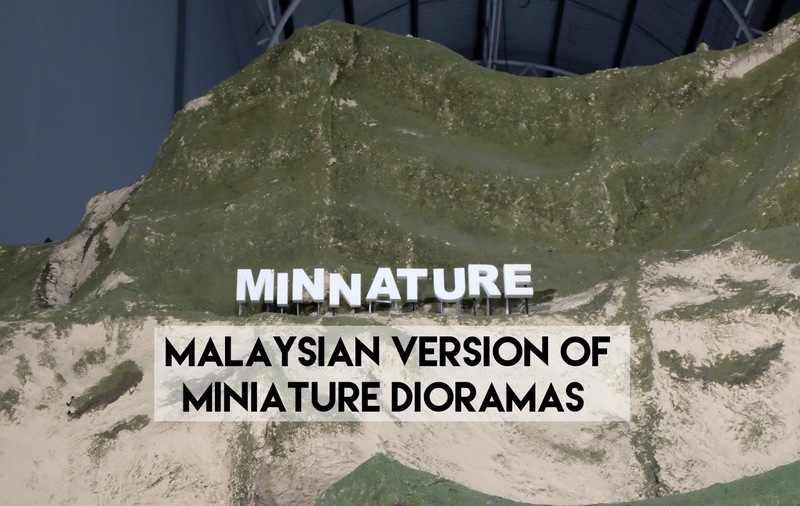 It was a jaw dropping experience at MinNature, because all of the iconic buildings around Malaysia is replicated for us in a small miniature form. 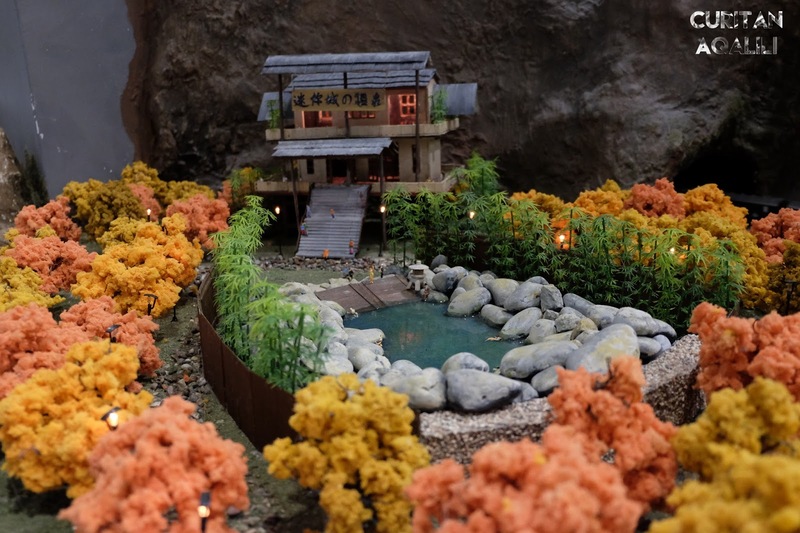 But, it's more than that because I can sense Alvin's team passion and hard work towards building this miniature exhibition in Asia! You can call it as a family project because over 80 staff included their family and friends were helping to set-up this place that take more than 3 years. This post will be endless if I don't break it into some point. Therefore, here are SIX FUN FACTS that you need to know about MinNature! Starting from Ticketing Counter, there are 19 exhibits & zones in total, that will make you go 'Wuhuuu!'. 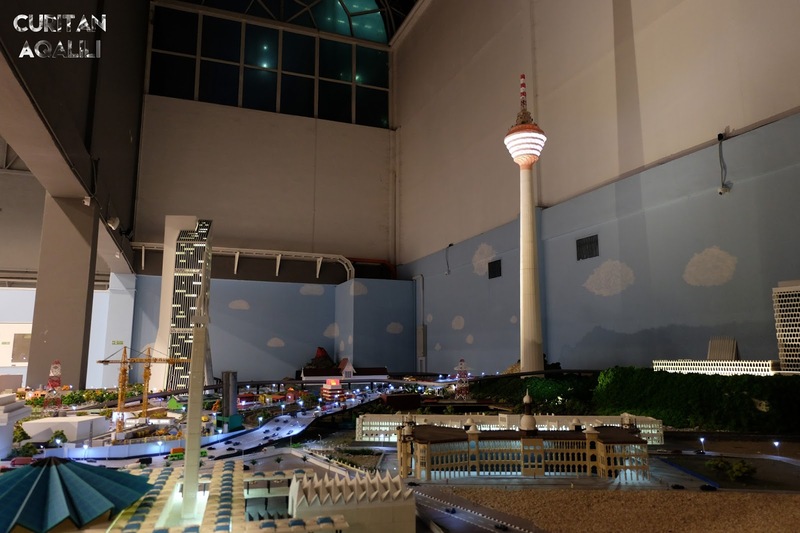 They have built more than 1,000 miniature building with more than 5,000 figures of numerous different themes and wonderlands. Night view of KL Tower. 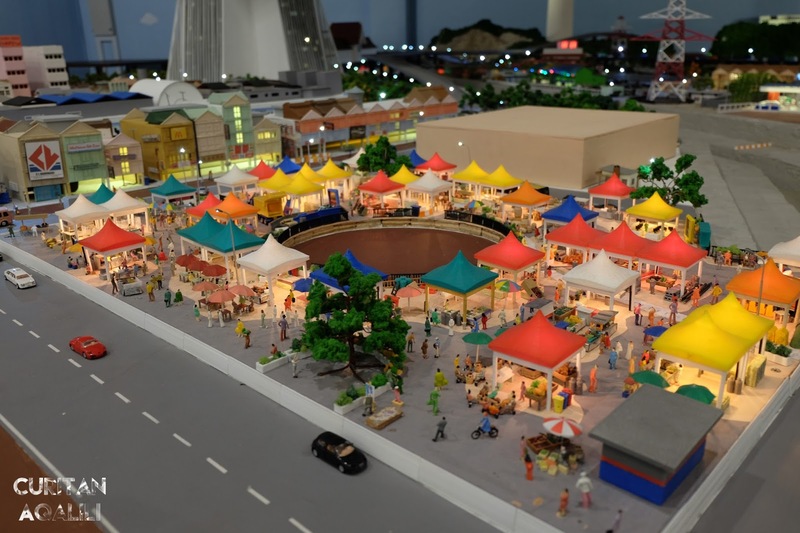 One of them is Merdeka Square which was made based on the originals and recreated by 10 3D printers. 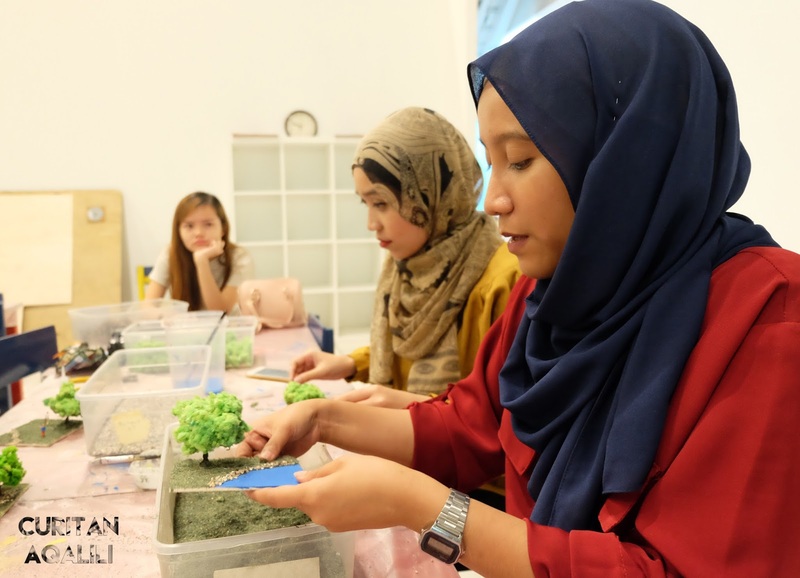 Alvin's teams will be continuously striving to create new diorama and models, such as the Malaysia iconic building, Petronas Twin Towers. 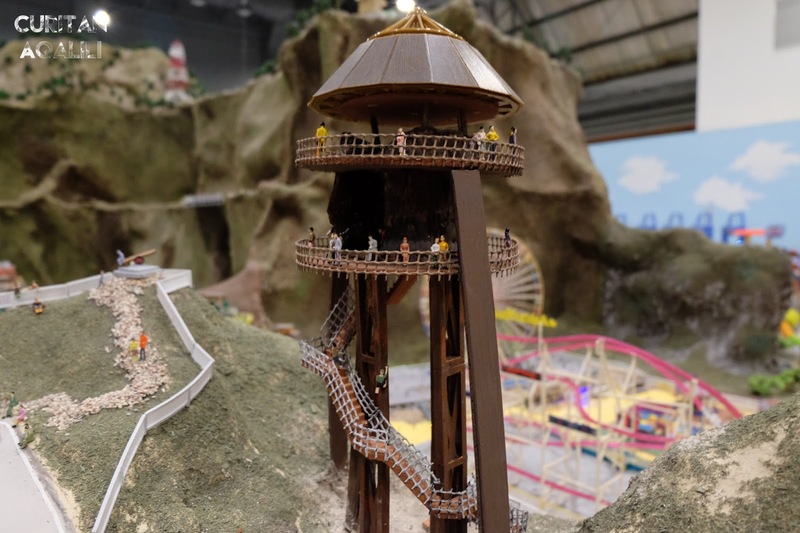 All of the zones provide 360 degree view, and there are more than 40 trains circulating along the 2,600 feet long railways around the exhibition. 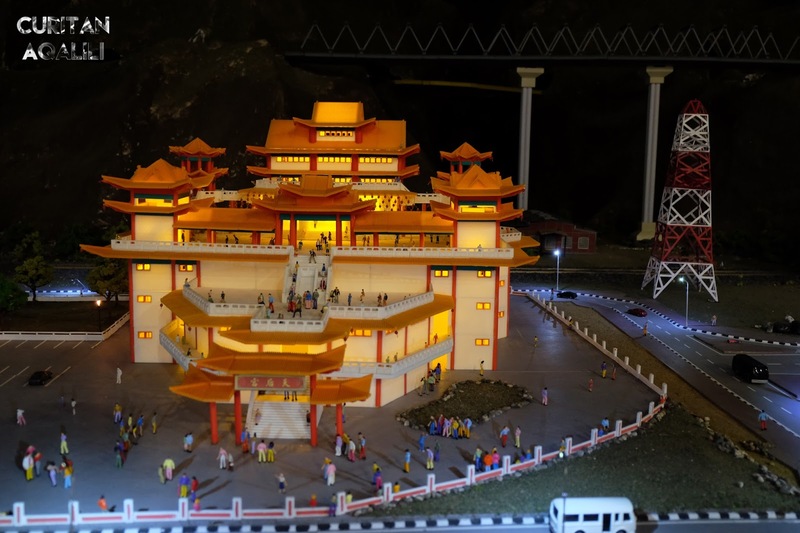 Therefore, that made them as Asia's largest miniature and train exhibition. 2. Photography and Video is a MUST! Usually, for exhibitions they don't allow taking any pictures. But, here at MinNature, they encourage you take as many pictures as you like. I'm pretty sure you can't resist any of it, even a person like me who doesn't take a lot of pictures suddenly become attached to the camera. I really love this colourful tree! The more I see and focus on each of the exhibition I become curious and amazed by the details that they put on. Nevertheless, every zones are capture worthy! Night view one more time! 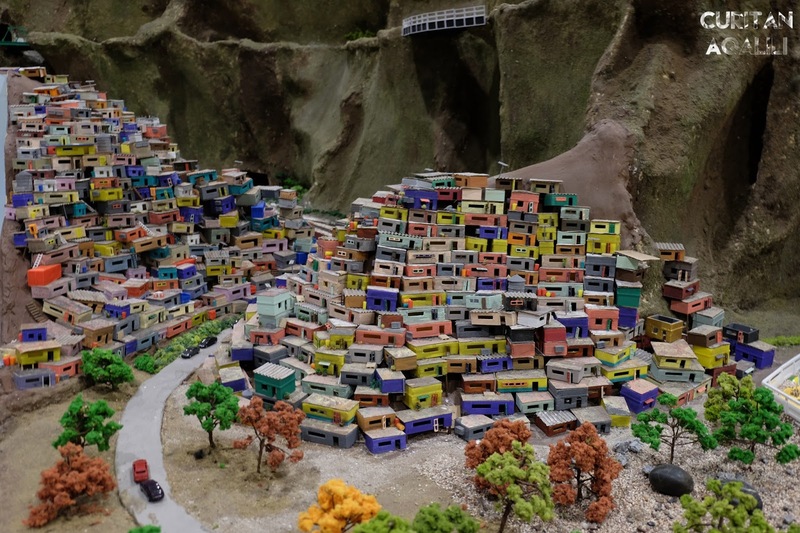 Among all of the exhibition, the one that grab my attention is MinNature Favela, even the names of each exhibition are so creative! By the way, you don't need to worry if you need some explanation about the zones because they provide you with some sort of explanation on every exhibits. If you want to know more about it, feel free to ask the staff (they are friendly!). Besides taking pictures, there are exhibits that will require you to interact with it so that it will come alive. How to know there are interactive? Look out for the red button! 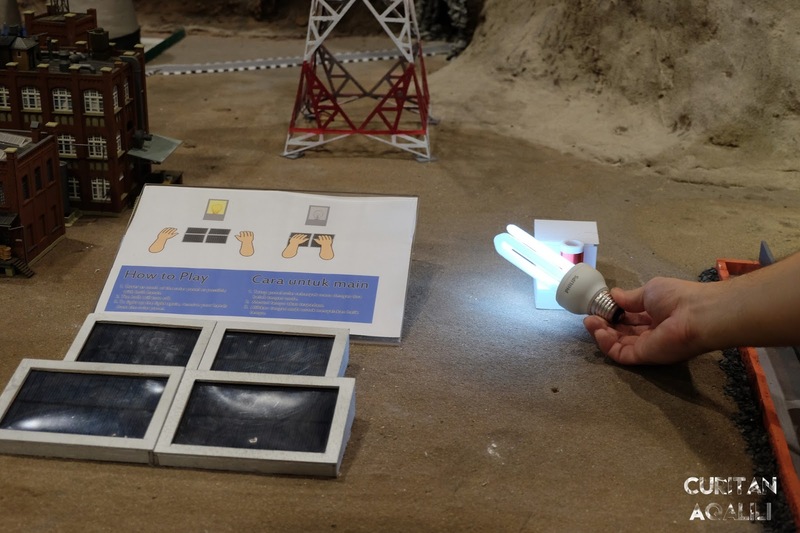 Below are some of exhibits that I got to interact with. There are so much more that this! 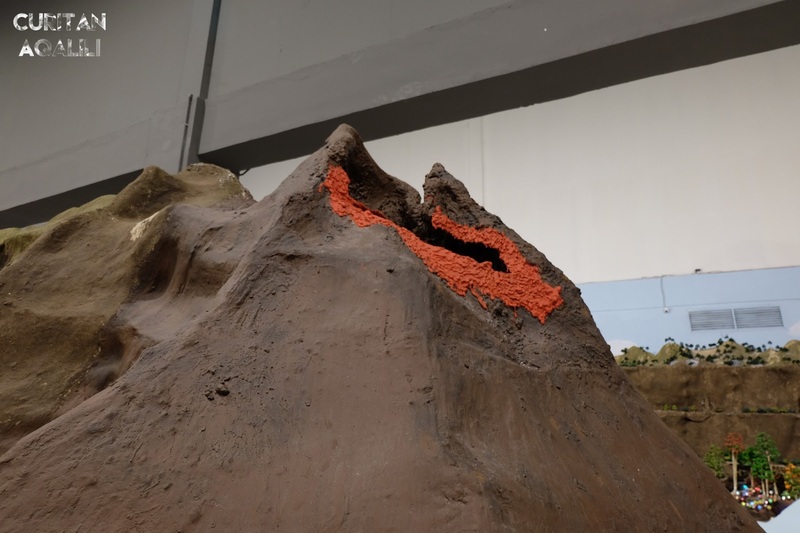 Experience an active volcano in miniature form and see how it react. Don't forget to watch out for trains and detect where there are located from time to time. 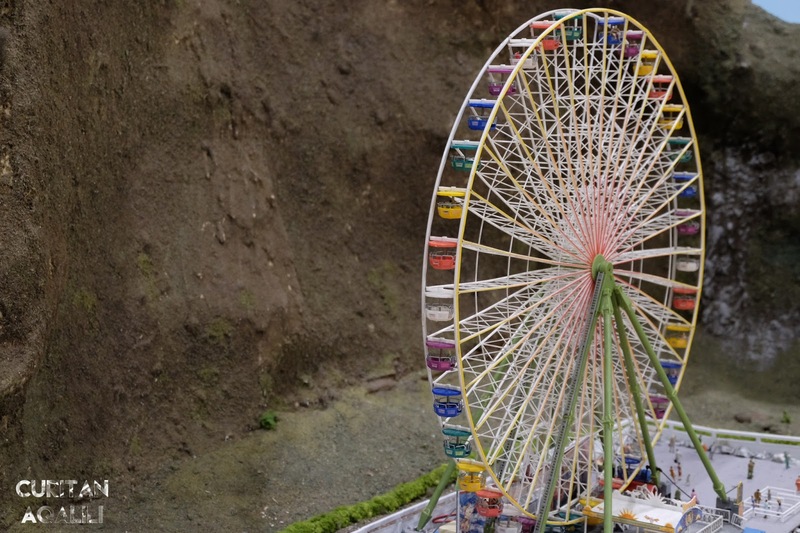 I'm pretty sure whether you are adult or kids, you will be excited with the miniatures! Pasar Malam came alive with just push of button! Look out for Batman and Spiderman! (Yeap, they do exist here at MinNature). This is a really fun quest to do when you come with a group of people. I see the list of the treasure hunt and I'm pretty sure it will a fun discovery! Maybe it will be easier to be on a very high building to capture all the treasure hunt list? Naah, at MinNature, all you need to do is just 'squat' and you can see the whole village clearly (Got this pro tip from MinNature Non Executive Director, Chan Chee Wing). By the way, MinNature is currently running an Ultimate Treasure Hunt Challenge with prizes worth more than RM3,000. How to enter? Visitors that are able to spot numerous 'Treasure Hunt', at least 12 out of 18 items will qualify for Ultimate Treasure Hunt Challenge which will be held in June 2017. Other than that, visitors who successfully locate all 18 items will be rewarded with refund of their admission ticket of the day also! Watch out for the treasure! 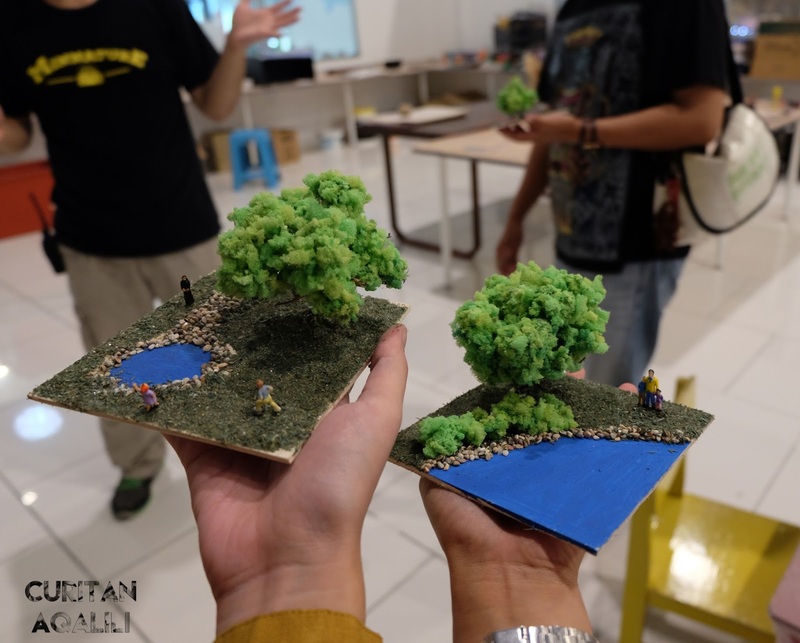 I totally recommend you to dive into this workshop, because from here you can learn how they did tree or house making which takes quite some time. Working hard to build a masterpiece. They also accept bigger group (over 20 pax), and just inform the staff there to avoid disappointment. And ah! This workshop is suitable for children over 4 years. Their time slot are 11 AM - 1 PM, 2PM - 4PM, 4PM-6PM, 6PM - 8PM. So, do check the availability of the time slot and register yourself! Take note that there's limited space available. Masterpiece of Mommy Cici and I. 6. Funny Element That You Need To Look Out! Witty and fun, there are hidden surprises that you need to look out for. 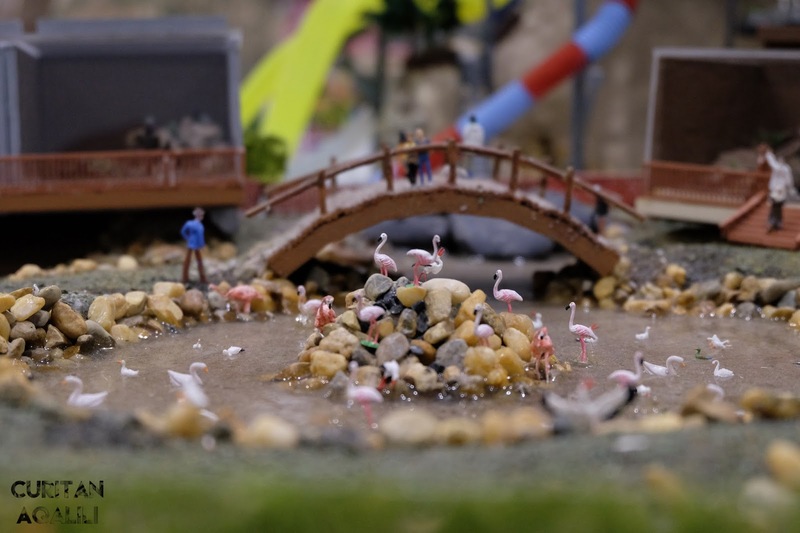 Treasure hunt is to discover something new, but there are also funny miniature to look out for. I laughing off when I discovered this on MinNature Wildlife Park section! Overall, it was a fun time here at MinNature and here some advise. Do come early because spending only ONE HOUR of your time here is not enough (seriously!). I am really proud of Alvin's team because they discovered and did something beautiful here and I hope that you guys will spare some of your time here at MinNature. Till then, let me know in the comment below and share your experience if you have been to MinNature (I would love to know your side of the story). Come and Visit MinNature and have a great time here!